I’ve got to the point in the Cambridge Companion to the Stoics (chapter 6) where one of the authors, Keimpe Algra, tackles the thorny issue of Stoic theology. I say thorny not because there is anything too peculiar about the topic per se, but because of course I will have at some point to address it from a secular, non-theistic perspective, in my quest for updating Stoicism to the 21st century. There is no denying that the Stoics believed in a God, and that moreover this God played an important (though, I will argue in forthcoming essays, not irreplaceable) role in their general philosophy. As such, we need to understand what exactly they thought and why, and Algra’s chapter is an excellent guide for that purpose. The Stoics deployed a number of arguments for the existence of God, including the (near) universality of belief among humans (along the same lines as “all the French people can’t be wrong about cheese”…), the argument from design, and the (alleged) unacceptability of atheism. Algra discusses in some detail the famous Zenonian syllogism about the existence of God, its critique (likely devised by Alexinus), as well as two responses by the Stoics, recorded by Sextus. The Stoics, it would seem, pray for rationality. This entry was posted in Ancient Stoicism, Religion on May 27, 2015 by Massimo. The comments on prayer are interesting to me. As part of my recent embrace of stoic ideas, I have created for myself a distilled arrangement of Aurelius’s ‘Meditations’ which I say to myself twice per day. It’s just over a thousand words and it includes what I consider to be his best passages on issues of perspective, thoughtfulness, social responsibility and the like. One of the biggest appeals to me of having some kind of philosophical framework to live by is that I want to live more ‘consciously’; to be more self-aware of every action I commit myself to. Sometimes it seems as though we live and behave automatically and I can go several days or weeks before, in a sense, suddenly remembering that I exist in any self-reflective capacity. Saying a ‘prayer’ (which is what I call it even though it is reflective rather than a plea) is particularly helpful to me compared to, say, mindfulness meditation, as it encircles each day within a set of precepts that are continually on my mind as I set about doing things. This is one of the ritualistic aspects of human life that I think the monotheists got right. Thanks, Massimo. Very interesting once again. It would seem there are similarities between classical Stoicism and early Buddhism in regard of their supernaturalist cosmologies as well as in other respects. Early Buddhism did accept the existence of deities as very powerful but deluded mortal beings; it was however wrong to claim the existence of a creator deity who was responsible for the world’s persistence. (E.g., Aṅguttara Nikāya 3.61). Interestingly, the Buddha also censures monks for performing rites of divination, fortune telling, etc. (Dīgha Nikāya 1). As regards prayer in particular, while there was nothing quite akin to it in early Buddhism, some forms of meditation such as the Brahmavihāras (the so-called “abodes of Brahma” or meditations on kindness, compassion, empathetic joy, and equanimity) resemble prayers in being pro-attitudes that one repeats to oneself as forms of “right intention”. Right intention should always guide mindful meditation in Buddhism. What I find amazing about Stoicism is that it inspires in me some things that I would have earlier thought of as religious practices (and I’m very much irreligious). Reflecting on passages of Meditations at night before bed is something Christians do with the Bible. I also carry short aphorisms and whole passages of Stoic texts with me for reflection and prayer (though I don’t call it that). The stand out difference is that, unlike religion which inspires people to hope an external source gives them favour, virtue ethics starts with what we can control (virtuous action). This is a much better starting point for living a good life and being a fine upstanding moral citizen IMO. Fred, precisely right. I do the same, and I find it particularly nice that I’m getting plain spoken wisdom from other human beings, rather than from an inscrutable transcendental entity. Another tale from my incidental theologizing. The ever tiresome Bishop Spong seemed every week to deny some other Christian dogma. I particularly remember one time it was, “How could anyone in the 20th century still believe in theism?” How indeed! How do you deny a metaphor? Theism had as many problems in 500 BC or 100 CE as it does today. Sometimes it is a helpful metaphor, more often not. 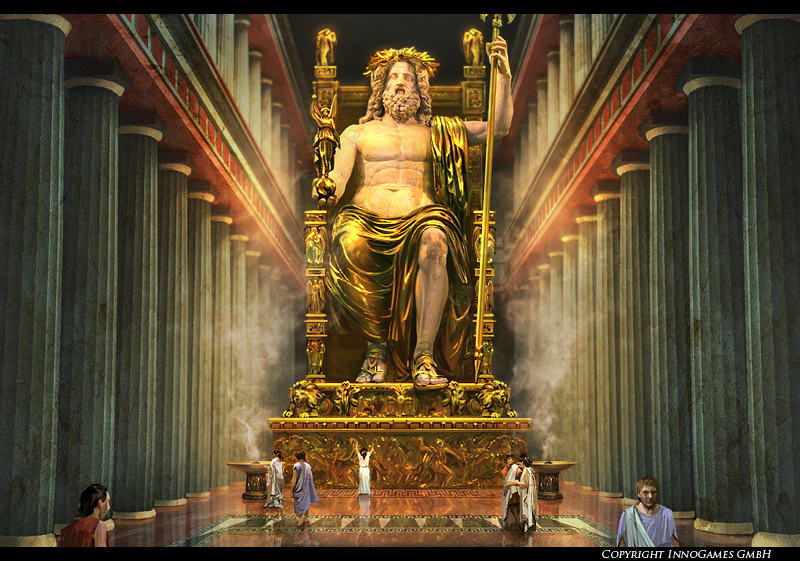 The Greek and Roman observations about the gods had a huge influence in popular and even serious Christian theology. I recalled my shock at first reading the Iliad, more so the Odyssey and the Aeneid. It struck me at the time here is where much Christian theology came from, certainly in my bible reading I had not come across nearly so much support for the tone of so much popular theology. The god of the Old and New Testaments is not nearly so theistic as most Christians believe. There are any number of biblical passages, which upon literally reading them, lead the reader to know that the author is speaking metaphorically. Even the very nascent development of the doctrine of the Trinity in the New Testament begs to be understood in a metaphorical sense. God, as totally other, is related to Logos is related to Jesus is related to the spirit that enlightens everyone. Hans Kung has discussed at length the harm done by over defining and dogmatizing. “…especially in light of modern findings concerning human cognitive biases and the large role of subconscious reasoning and decision making …” With some Buddhism excepted is there any religion or philosophy which does not stand in need of major correction here? There are hints of course even in St Paul, but even there they seem ascribed to something akin to animal nature, rather than inherently cognitive. Perhaps the one surviving legacy of Freud is that he persuaded most of us that the subconscious was an enormous factor to be considered. If the bible and theism were subjected to skepticism in the last century or two, surely in this century we are becoming profoundly more skeptical about human consciousness, rationality, and morality – indeed the very nature of what Homo sapiens itself might be. I get only more skeptical as I get older. A humorous aside, the god so many Americans believe in, even atheists and agnostics, is inadvertently parodied in the Christmas song, Santa Claus is Comin’ to Town. Epicteuts is so fervent in his belief and praise for God that even A.A. Long who wrote a book about Epictetus was about to scrap his project altogether (because I would presume Long is an atheist). Stoicism is more of a theist belief system than an atheist belief system in my opinion and any atheist would be bothered by Stoicism’s constant insistence of a God’s presence, albeit a natural God, not the same as the Christian’s view of God. I can’t find one passage about prayer in Musonius, Epictetus, Marcus Aurelius, or Seneca. Their prayer is indeed the reasoning they engage in everyday life using the gift they received from God. I must say that — as an atheist — even Epictetus’ frequent references to god don’t really bother me, partly because, as you say, it is a naturalized god, and partly because I think Stoicism is a powerful vehicle to find common ground among atheists, theists, pantheists, and so forth. Massimo, yes I agree the more exact degree would be pantheistic, although there have been times when Stoics spoke of God knowing and caring about your every being (especially Epictetus and Marcus) comes close to a personal God. Just curious, are you an atheist as in you believe there is no God or the modern meaning of atheist which to me means agnostic? I’m an atheist in the Humean sense: I try to proportion my belief to the evidence, and the evidence seems to me to point toward the non-existence of the supernatural. Massimo, I see. What do you make of evidence of a collection of atoms that can contemplate about itself? I like your brand of atheism because it is open to new evidence. Nobody can be sure one way or another. If I was a betting man, I would hang my hat on the Big Guy because the universe works on rules. Otherwise a universe without God would be total entropy, and as such, no collection of atoms acting in its own behalf, which is to say acting on the behalf of nature. Not much. It’s just one more natural phenomenon for science to have to explain, if we are that smart. If not, okay, but it still doesn’t license any inference to the supernatural, which of course would simply be a matter of shifting the question further, not actually answering it. No, but that’s raising the bar too high. I’m not absolutely positive that there is no Lock Ness monster, but I’ll be a substantial amount of money against it. Another issue for science to tackle, if possible. If not, it needs to be taken as a brute fact about the cosmos. Again, doesn’t license any further inference, in my opinion. I don’t see why, though of course that is a standard argument in favor of theism.